If you’ve been in an auto accident, you understand that it is a headache—literally and figuratively. It disrupts your life. Your car is messed up but you can get a new car. Your body’s also damaged, but you can’t get a new one. Exercise is also essential in restoring normal function to the muscles and nervous system. We’ll use all those different techniques to help the body heal as best as it can without the use of drugs. Our natural solutions are also safer than taking medication, and they address the cause of the problem rather than just turning off the signals that something’s going wrong. We base our care on what the body needs, not what an insurance company tells us. If it’s your insurance company, they have your best interest at heart. If it’s somebody else’s insurance company, they aren’t going to care the same about you. The recovery from an auto accident varies tremendously. 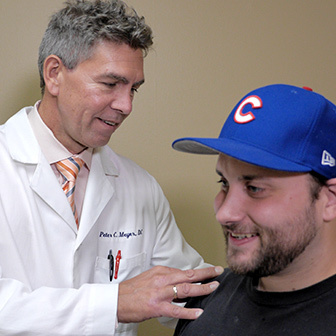 Some patients feel great after just two adjustments while other patients have required care for a year due to the fact that forces that occur in an auto accident vary tremendously. There are many factors in determining how much injury has occurred. For example, if the car slides, there’s energy dissipated in the car sliding. If the car crumbles, energy is dissipated in that crumpling action. So there are many different factors that make it difficult to predict how long or how much injury is going to occur in an accident. Some people need pain medication following an auto accident, and others may need to see an orthopedic surgeon. We refer patients out for pain management if that’s necessary. 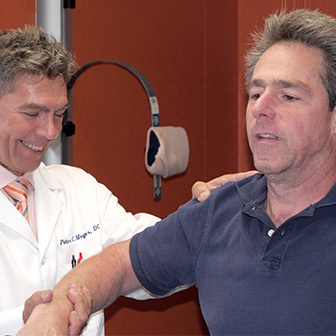 Sometimes we work in conjunction with a medical doctor, a neurologist, an orthopedic surgeon or a neurosurgeon. The patient’s health is always paramount. Whether you’ve been involved in a minor fender bender or more serious automobile accident, it’s vital that you seek care right away. Contact us today to schedule an appointment. We want to help you!